One Whole And A Half Cross-Section Of Cep Mushrooms Standing On The Turntable. 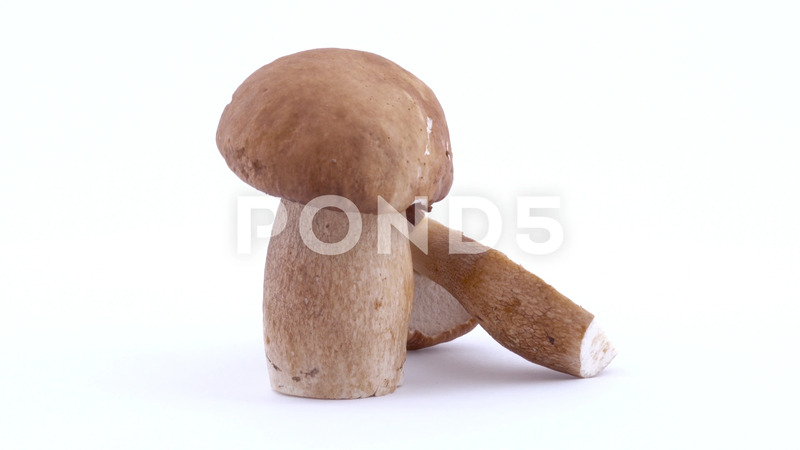 Description: One whole and a half cross-section of cep mushrooms standing on the turntable. Rotating. Isolated on the white background. Closeup. Macro.